Inner Sanctum of the Ninveah: Won't Someone Think of the Economy?! Won't Someone Think of the Economy?! 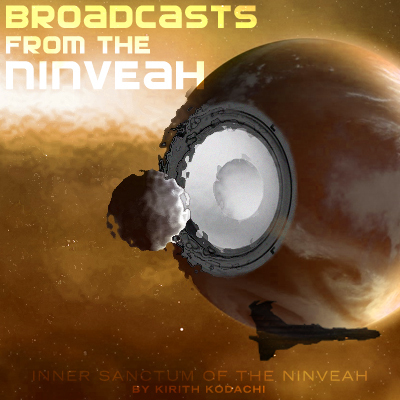 On High Drag podcast episode 46 they had on a special guest by the name of Shadowandlight who is becoming rather famous in the Eve meta community as a vocal proponent of ISBoxer and its feature of input broadcasting. He's quite upset that CCP is choosing to rule that input broadcasting is an exploit and as of Jan 1 2015 is no longer allowed and has become a bannable offense, something I support wholeheartedly. Shadowandlight had several arguments in favour of ISBoxer input broadcasting and I think the High Drag hosts were more than a little restrained than I would have been in confronting some of those assertions. 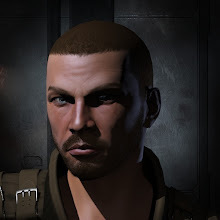 The two that got me the most were that banning ISBoxer was going to hurt the game due to fewer pilots online (not to mention fewer subscription dollars for CCP) at a time and its going to hurt the economy since ISBoxer miners would not provide vast quantities of cheap minerals any more. What struck me the most, and perhaps you had to have been in the game long enough to realize the parallel, was that his arguments are almost word for word the exact same reasoning players who utilized botting gave for why CCP would never crack down on botting... prior to CCP doing exactly that. "CCP won't crack down on botting because those bot accounts give them $15 every month!" "Botting provide vast amounts of cheap minerals to the markets, if you take them away the prices will skyrocket and kill the game!" Of course we know now those claims to be false. CCP does not want bot accounts as those bots negatively impact the gameplay for real players trying to make their way in EVE (either by taking up resources the players might have had access to otherwise or by driving prices down to the determinet of player competitors) and bots don't spread word of mouth to get other potential players to try the game. Or in other words, bots stagnate the game instead of expanding it. And the economy? Oh please, give me a break! 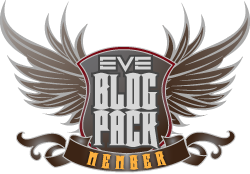 EVE's economy is mature enough to correct as players react to rising prices and change their activities accordingly. So when I heard those same arguments trotted out as reasons ISBoxer input broadcasting should not be banned it only fueled my belief that input broadcasting is the same as botting with a different source for the bots' script. And those arguments hold the same amount of water as they did 4-5 years ago. Absolutely none. I admit that I had a modicum of sympathy for Shadowandlight's assertion that a niche gameplay that does not negatively impact the game, i.e. ISBoxer bomber fleets, which by mechanics is limited below ten pilots, is being thrown out as the baby with the bathwater that is the plague of ISBoxer high sec mining. I can appreciate that type of PvP interaction can be viewed as fun and it puts pilots in space in harms way. But at the end of the day, its still just a clever form of botting and if allowed to develop unchecked, could lead to massive fleets of ISBoxer damage ships controlled by a handful of players dominating the null sec meta since line squad members of a fleet in theory do the same thing in concert. In fact, I can foresee an ISBoxer powered fleet being more effective than a traditional one pilot one ship fleet. So ultimately I see this decision to ban input broadcasting as a good on on CCP's part. To head off any rebuttals that CCP is being a hypocrite for not banning multi-boxing entirely, I would like to point out that multiboxing without input broadcasting is LESS effective than one-pilot per ship as opposed to equally or more effective. Since you sacrifice something in order to run two or more pilots (i.e. the time it takes to context switch from one client to another), people tend to multibox only for fulfilling different roles in limited scenarios (the cyno and the jump ship for example). Even if they multibox something like mining, human limitations puts an upper cap at a lower value than what input broadcasting allows. So I, like CCP, are fine with multiboxing. "I would like to point out that multiboxing without input broadcasting is LESS effective than one-pilot per ship"
This part is important, and true. To your argument, I'd add that switching your brain from flying one type of ship to flying another takes some attention. You can't change from a tackle Loki with probes, for instance, to a DPS Talos immediately... there's a delay while you recall the current state of your ship, what's happening around you, and react accordingly. Then, you have to also remember what the other client is doing. There are many times I've lost my prober to rats on a gate because I was paying attention to my other character doing something mundane... and not even in combat! Multiboxing makes all of your accounts less effective compared to playing with a friend. I have seen a video somewhere of massive mission fleets done by people using ISBoxer. Think it was nightmares or tengus. I completely agree that it should be considered botting. One thing that comes to mind are suicide gank fleets in high sec would be really effective with ISBoxer. Then it's kind of hard to blame anyone for considering the two the same thing. I started playing just after Unholy Rage occurred in 2009 and the big complaint back then was about bots. Now, the big complaint is the massive ISBoxer-fueled mining fleets. And the fact that the proponents of input broadcasting are using the same arguments as botters did back in the day makes me laugh when people like Shadow get all indignant about botting and input broadcasting having the same penalty, even though they break the same rule. And I've listened to all of Shadow's appearances except for High Drag. He has just about convinced me I was right the first time and CCP should just ban Inner Space (the software that runs ISBoxer) altogether. I guess that will depend on how the input broadcasters behave in 2015. I can't help laughing when someone says "but I'm necessary for the game economy". CCP has full control in-game, they could seed veldspar at NPCs if they want. No player activity is needed for ANYTHING in the game. Botters and input broadcasters do neither. PS: extra-stupid version of the above is when one say "my PLEX-ed account is needed because someone pays $15 for it", when it's obvious that someone paid $15 for the 800M ISK he can get in Jita. CCP could just give trillions of ISK to an alt who buys PLEX and trash them and the paying player wouldn't even notice.